Fresh snow has covered many parts of the country, causing more travel delays and cancellations. In the Wye Valley, which straddles the border between England and Wales, some residents have barely left their houses since before Christmas because of the extreme snow. 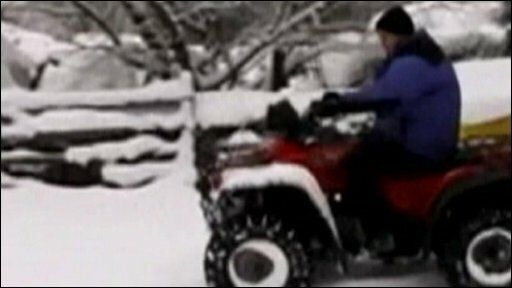 The BBC's Jeremy Cooke lives in the Wye Valley near Monmouth and used his quad bike to visit his neighbours. He filmed how they have been coping with the prolonged severe weather conditions on his camcorder.